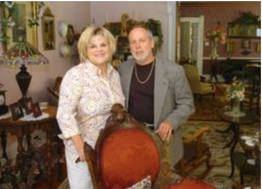 At the mansion: Baert-Baron Mansion owners Anna and Vic VanDeventer recently opened their bed-and-breakfast in Zeeland. ZEELAND -- Nine years after purchasing and beginning renovations on the historic Baert-Baron Mansion, baertbaronmansion.com, at 120 S. Church St., Anna and Vic VanDeventer have opened their home as a bed-and-breakfast. The first such business in Zeeland had its first guests last weekend -- a Jenison couple celebrating a wedding anniversary. Built in 1872 out of red Veneklasen brick that was produced locally, the home's furnishings and hospitality beckon to the Victorian era. "We're trying to create an elegant place where adults can come and steal away, have intimate conversation and a quiet time of solitude," said Anna VanDeventer, a former regional station manager for a Christian television network. Both passionate about history, the VanDeventers sought to recapture the original style of the mansion when they bought the home in 2001. "The first three to four years were the major renovation. Right now, we're finishing up the smaller things," said Vic VanDeventer, who has been station manager for WTLJ-TV (Channel 54) in Allendale Township for the past 14 years. He also has been interim station manager for a Christian television station in Detroit the past year. The mansion was the home of Dr. Daniel Baert, one of Zeeland's first doctors, and also served as a funeral home before becoming a residence. 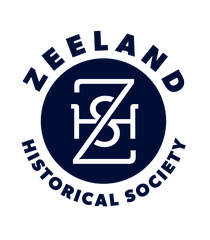 The couple have been active in the Zeeland Historical Society. Vic served on its board for six years until last year, and Anna is currently manager of the Dekker Huis Museum. Five years ago, Anna spearheaded the establishment of the society's Historic Home Tour, which has raised funds for the society's effort to restore the historic New Groningen Schoolhouse. "They have brought together diverse groups and individuals for one common purpose: to celebrate the town many of us call home," said Kit Karsten, historical society manager. Married 27 years and parents to six children and 14 grandchildren, the VanDeventers stay busy beyond work with the bed-and-breakfast and the historical society. Anna, 60, co-hosts a cooking show, "A Dash of Taste," on the TCT Christian cable network, which includes Channel 54. "We cook, we talk about family, giggle and laugh, make mistakes," said Anna about the show and her co-host, Dionne Williams. "We just have a good time for a half-hour." The show airs on Channel 54 on Tuesdays at 5 a.m., Wednesday's at 5:30 p.m. and Thursdays at 8:30 p.m.